We are a tax consultancy specialising in all requirements for small to medium sized businesses where you will get a personalised friendly service at a fair price. We are a Xero Certified Advisor and your initial consultation with us is FREE. Please look over our website and if you have any queries please do not hesitate to contact us. I have been preparing accounts for small to medium businesses and looking after requirements of such businesses for the last 30 years. Having been self employed for the last 20 years I have developed a tax consultancy which now specialises in helping businesses with all their accounting requirements and ensuring they have the tools to help them expand ( if required ) as well as offering advice should the business meet troubled times. Prior to becoming self employed I worked as a manager in Business Services Area for a firm, which after a number of mergers, became part of Coopers and Lybrand . 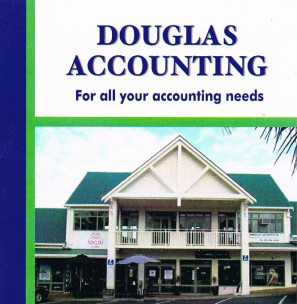 I have a wide range of knowledge relating to the small business area including preparation and completion of monthly and yearly accounts , all taxation requirements including PAYE , GST , FBT , RWT and child support , supporting clients through tax audits, and helping clients who fall behind with tax obligations sort out their problems with the Inland Revenue, preparation and completion of cashflows and helping clients build their business. Being a tax agent I have a good rapour with the Inland Revenue including a number of good contacts which help sort out client problems . As a tax agent , my clients get the advantage an extension of time to file tax returns (for 2018, 31 March 2019 instead of 7 July 2018) and two extra months to pay Terminal taxation ( 7 April instead of 7 February , where an extension of time arrangement exists ) . Preparation work is prepared by my staff but all work is checked and completed by myself to ensure that all relevant claims have been made. Please look at the services we provide on the attached pages.